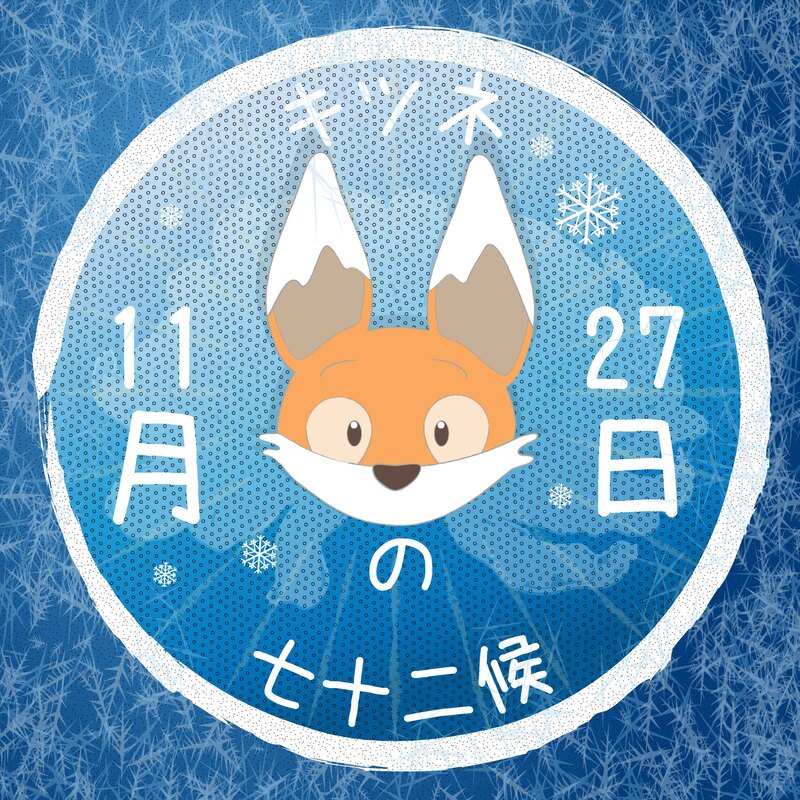 In late November, Kiku noticed that the sekki (see further information, below) for the end of November and the beginning of December was labelled as ‘Minor Snow’. When he asked about this, Boss Panda told him it would be quite rare for snow to fall at this time of year in Tokyo, so it was more an indication that it was beginning to get colder in the area. The ko read 朔風払葉, or “North Wind shakes off the Leaves” (きたかぜこのはをはらう). Kiku smiled – just the day before, he had been sitting in the little back garden of the Bamboo Bathhouse, when a gust of wind had come from nowhere, and he had found himself covered in a big pile of leaves! 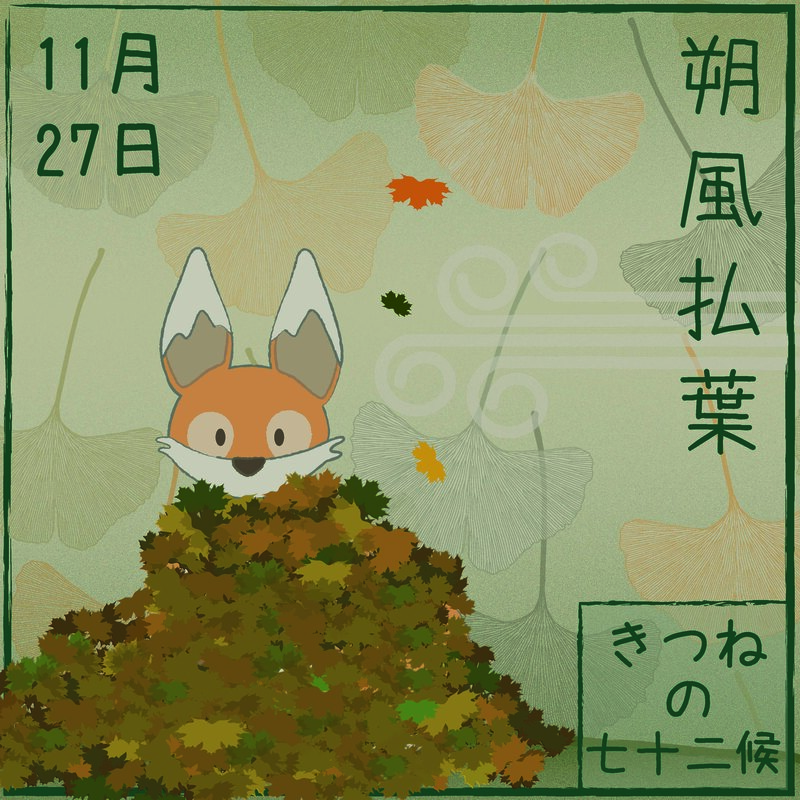 Miko-chan had quickly come to his aid, and helped him out from under them, after which the pair of friends had enjoyed kicking the leaves around, making wonderful sounds. Boss Panda explained that December was not only one of the driest months in Tokyo, but also one of the sunniest. Kiku was very pleased to hear this, remembering how dark it could get in England at the same time of year. “Remember to wear your scarves though, little ones”, warned the Panda, “As the almanac indicates, the Kanto region does get some good winds during the winter months”. I adore the concept of this almanac–fascinating! We truly are in North Wind Shakes off the Leaves, and the poetry of that phrase takes my breath away. Minor snow days will be here soon! Charming and thoughtful post. It is such a wonderful resource, but quite hard to find and understand these days. I’ve had some trouble with some of the translations, but most are poetic…thank you for reading! ?